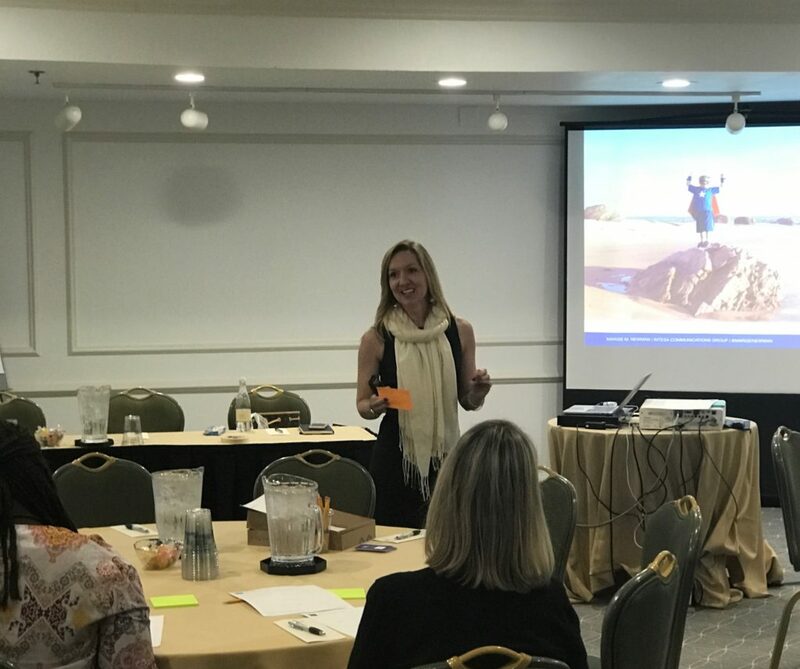 Intesa partner Margie Newman leads a strategic messaging workshop at the 2017 Alliance for Early Success National Partner Summit. The Alliance for Early Success is one of the nation’s most experienced and trusted names in early childhood policy. The non-profit brings state, national, and funding partners together to improve state policies for children, birth through age eight. In November 2017, their annual Partner Summit convened more than 200 advocates, researchers, and policy-change technical experts in Tampa, Florida. Intesa was thrilled to be featured among those experts, as we provided an intensive strategic communications and messaging infrastructure workshop to dozens of summit attendees. Our popular Go Tell it on This Particular Mountain strategic communications workshop is an interactive experience that takes non-profit leaders through various exercises, techniques, and practice sessions for effective message development and communications planning. These workshops are part of Intesa’s broad suite of strategic communications offerings, which also include targeting key influencers through government relations tactics, and analytics-driven digital strategy. Additionally, Intesa provided Alliance partners with one-on-one, tailored “speed consulting” sessions. These sessions took a deeper dive into pressing communications challenges and opportunities, state-by-state. On the heels of dozens of state policy victories in 2017 that will help ensure all children, caregivers, and communities thrive, the Alliance network has audacious, transformational policy goals for 2018 and beyond. We’re proud to play a role in setting them up for success.